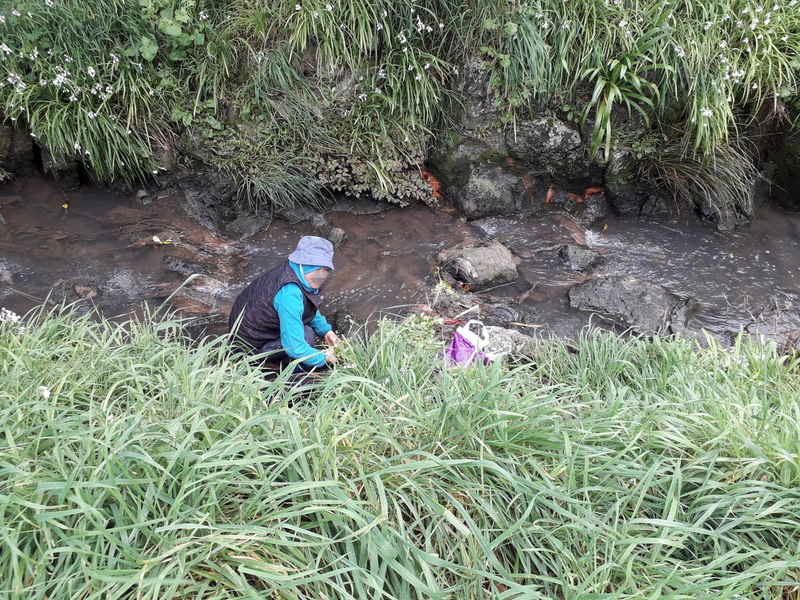 This lady is washing large bunches of newly collected greens in Meola Creek. She did not speak English and did not understand messages of danger. We hope she and her family stay well. Meola Creek receives approximately 1 million cubic meters of untreated sewage and road runoff every year. That is more than 1 Olympic Swimming pool of polluted water every day on average. We wrote to Skykiwi (a Chinese language web site) to seek their help in explaining this to some immigrants. 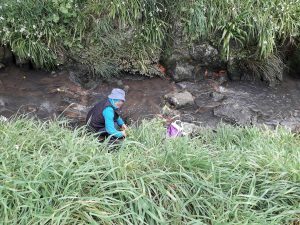 The site she chose has several pieces of plastic and other rubbish visible in the water, though the water seemed clear on that day. With intensification and immigration gathering pace in Auckland, we believe Council needs to find better ways of informing non-English speakers that Auckland parks are not pristine places where resources are there for the taking. Auckland Council is aware that Aucklanders strongly disagree with their waste disposal approach. We have asked that they put money into the Auckland Plan refresh and long term plan to remedy it, and we hope this will happen at some future date. This is a case where the image of ‘clean green NZ’ comes up against the reality of Auckland’s heritage sewerage system. We do not believe this should be left to future generations to solve.